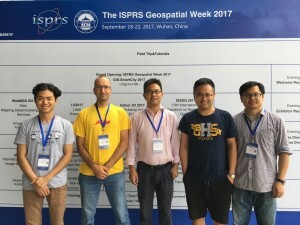 In the opening ceremony on Sept. 18, 2017, the U.V. 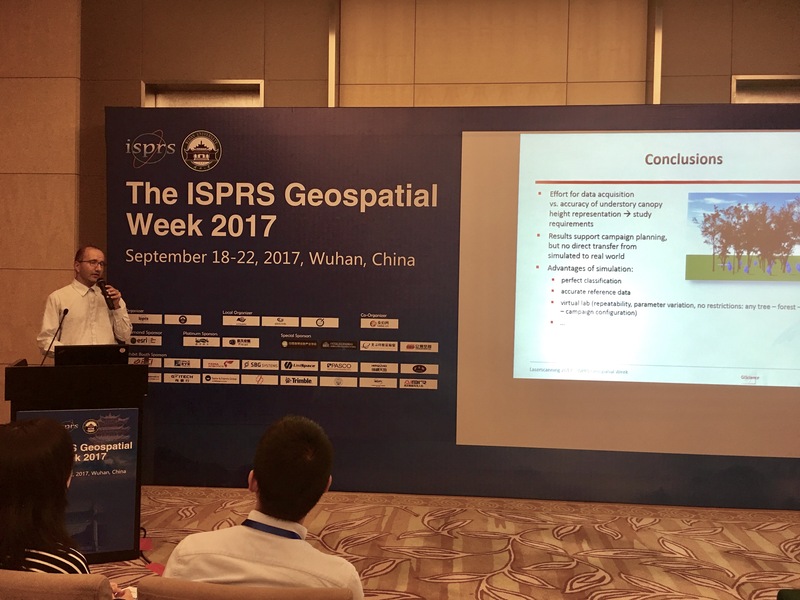 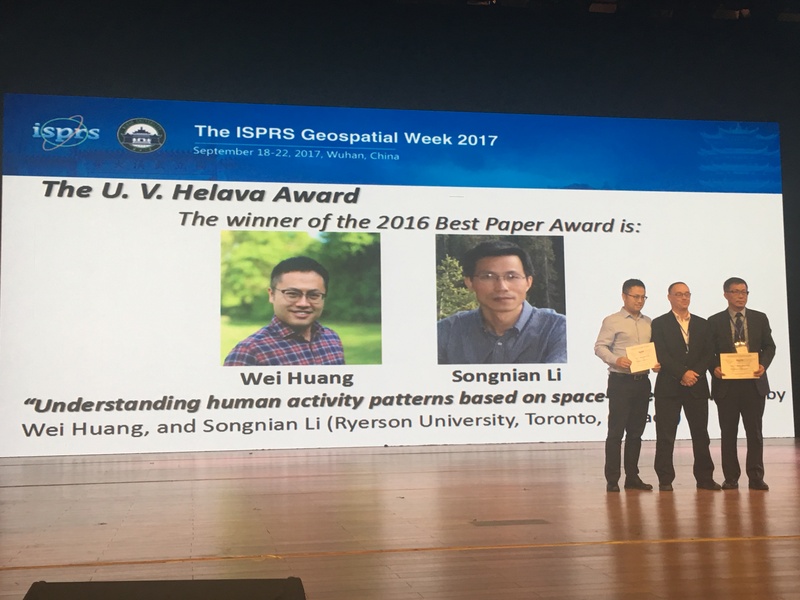 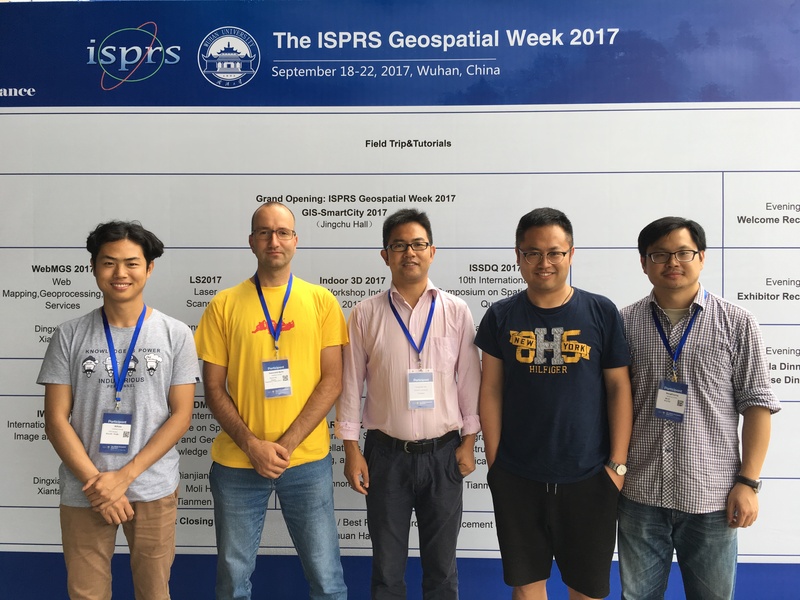 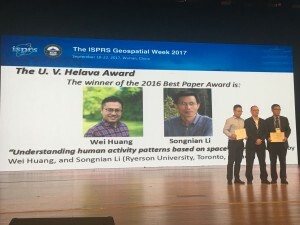 Helava Award was presented to Dr. Huang for his paper, “Understanding Human Activity Patterns based on Space-Time-Semantics”, which was selected as the best paper published in the ISPRS Journal of Photogrammetry and Remote Sensing in 2016. 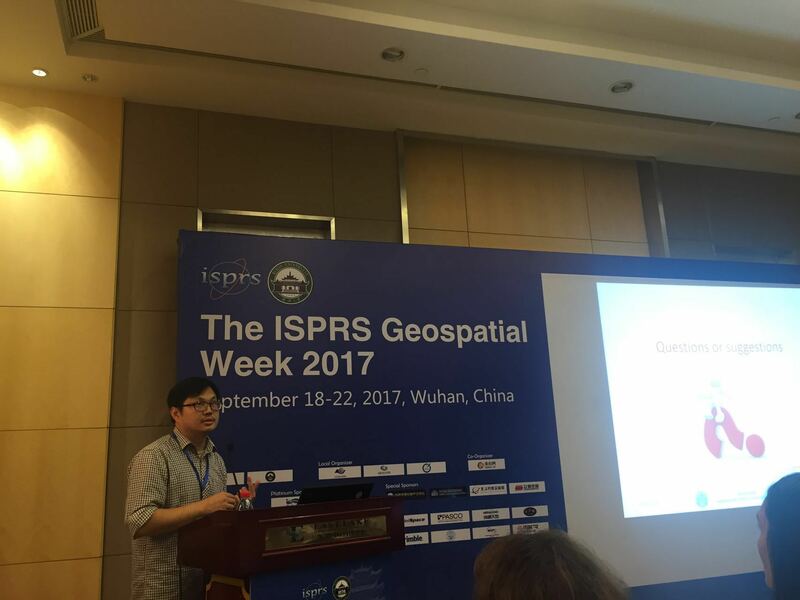 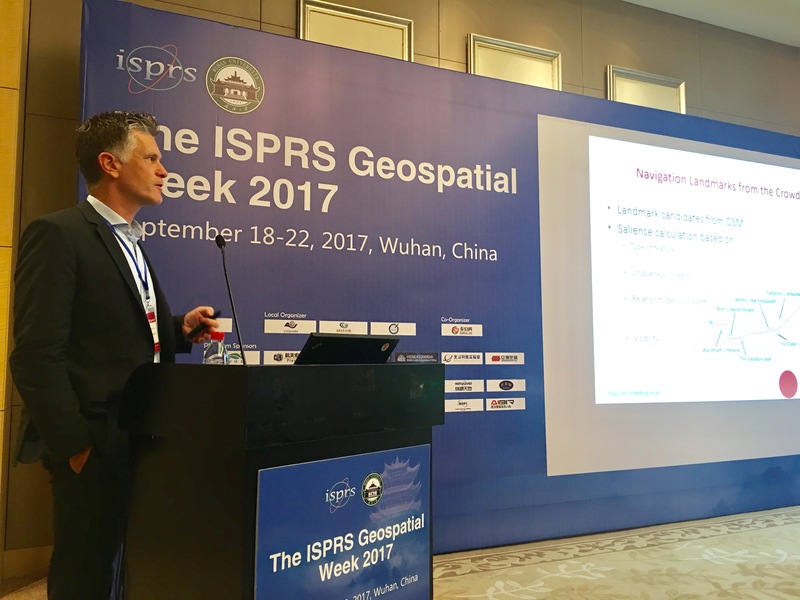 In the morning of Sept. 19, 2017, Prof. Zipf did a keynote speech, entitled “Analyzed Volunteered Information (VGI) with Big Data Technologies”. 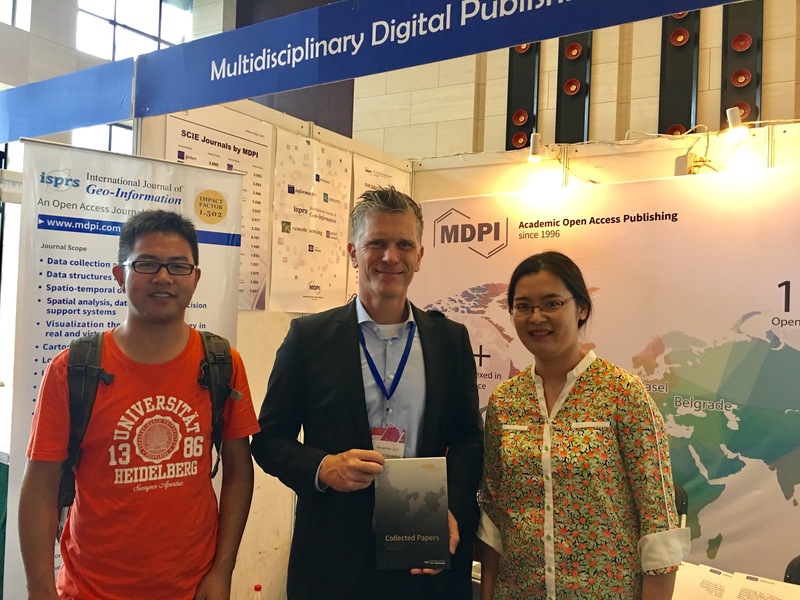 Later on, he obtained a special “book”—a collection of all he coauthored papers published in MDPI journals—from MDPI publisher as a gift. 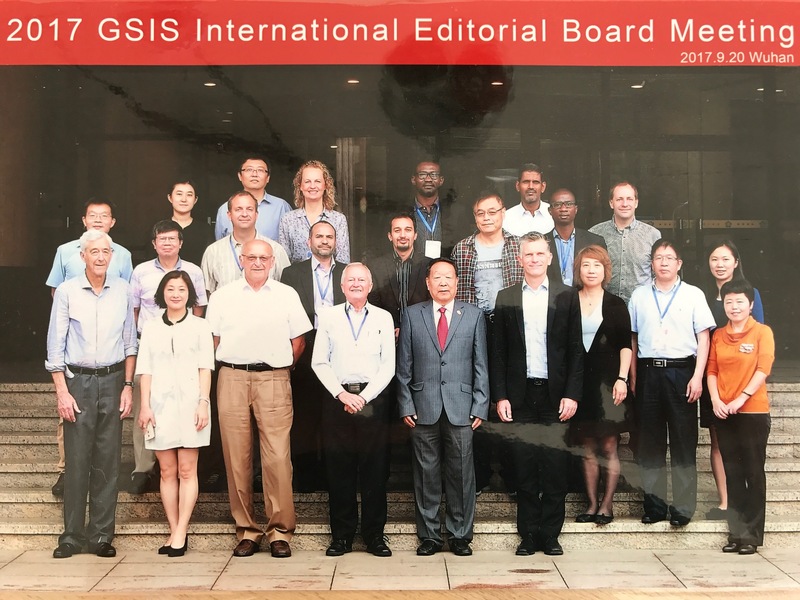 Later he participated also in the Editorial Board meeting of the International Open Access Journal “Geo-Spatial Information Science” published by Taylor and Francis. 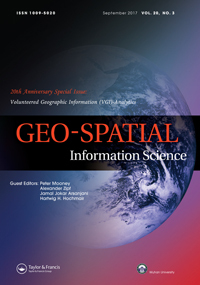 For this we also have a recent call for papers for a special issue on “Urban Geoinformatics“. 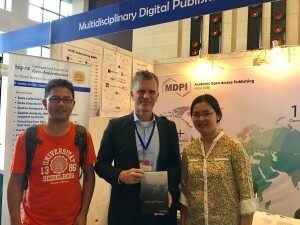 The publications are free of charge for authors. 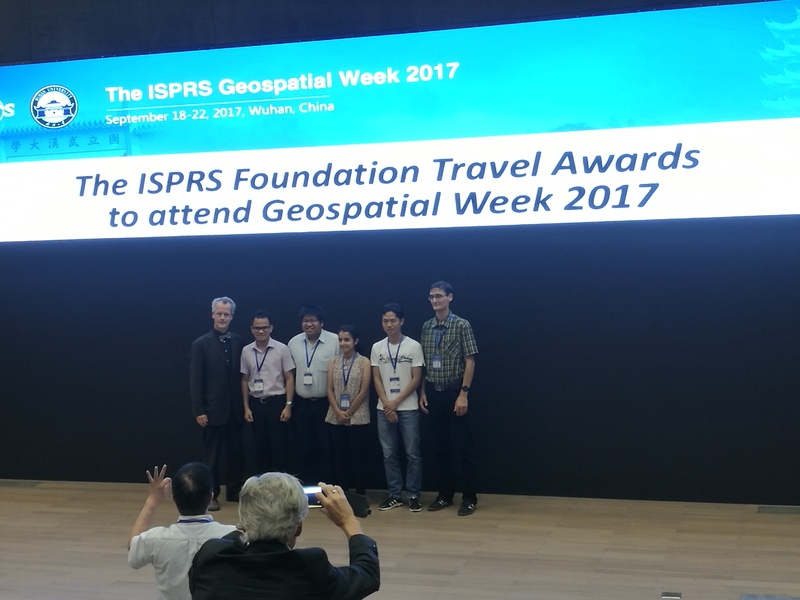 The first deadline is planned for end of October 2017. Hurry! There were further contributions of Heidelberg GISicence: Xuke presented his paper—“A Conceptual Framework for Indoor Mapping by using Grammars” on Sept. 19. 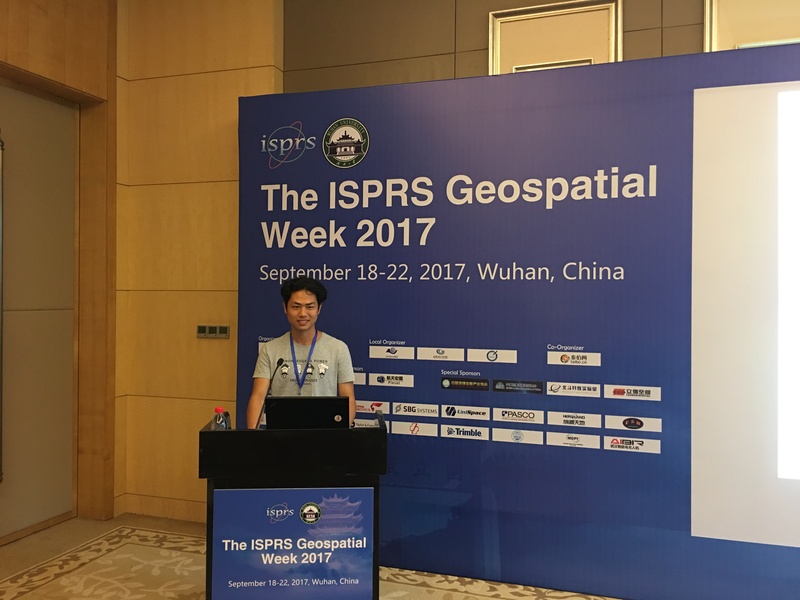 In the same session, Dr. Wang also presented his work, “Using OpenStreetMap Data to Generate Building Models wither Their Inner Structures for 3D Maps”. 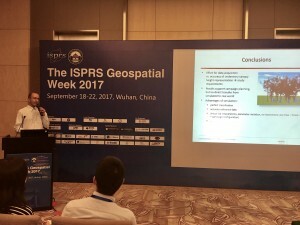 Within the frame of the laser scanning workshop, Dr. Martin Hämmerle (3D Spatial Data Processing Group) introduced the study “Simulating various terrestrial and UAV LiDAR scanning configurations for understory forest structure modelling”. 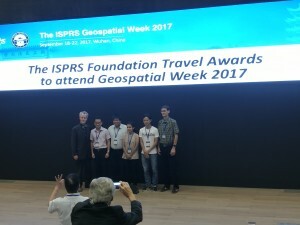 The Travel Awards were announced in the closing ceremony, Xuke is one of the winners.